When you push your money into the blackjack circle and faced off against a dealer, you are playing the best odds in the house. You can even turn the advantage to your favor. But not so fast. If you thought it was merely the cards you were battling, you have another thing coming. The combat measures began before you even sat down. The game behind the game of blackjack involves getting you to the table and keeping you there. What you may not know is that it also involves making sure your chances for winning are minimized, while your commitment to the idea of winning is maximized. The real tricksters are usually not the dealers themselves. They are the casinos that hire them, train them, and monitor them. The dealers are pawns serving the casino’s bottom line. Dealers mostly just want to get good tips, not get fired, and maybe have some fun along the way. Enter “Sophie,” a casino dealer turned professional card counter (she requested that her name be changed so casinos cannot identify her). After eight years of dealing table games at a large casino, she became fed up with how casinos were run and decided to put her efforts at taking money out of casinos through card counting at blackjack. She was happy to offer her input into how dealers think and casinos operate. 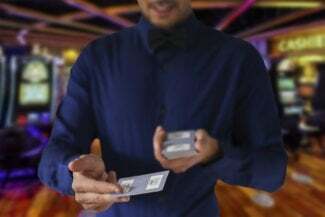 Straight from a dealer’s first hand experience, here are five ways that casino dealers compound your disadvantage. Basic strategy (sometimes referred to as “the book”) involves the list of playing decisions a player can make in any given situation which are mathematically most advantageous. This is not a secret. This is math. Sometimes casinos will even make cards with basic strategy available at the table. But they will never insist you follow it. Never be fooled by a dealer’s “sage” advice. “Maybe five percent of dealers know basic strategy… MAYBE,” says “Sophie,” a former casino dealer turned card counter. “Even if dealers know it, very few believe in it. 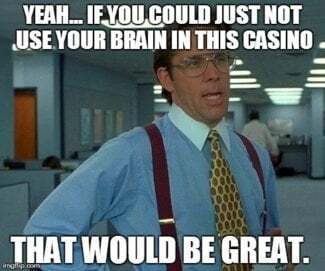 They still give really bad advice.” The casino wants you to believe it has your best interests in mind, but in practice we have no interest at all in seeing that you make sound playing decisions. Why is that? Sound decisions decrease their bottom line. Likewise, dealers are encouraged to keep play moving. More rounds played per hour means more money for the casino. Forcing you to make a quick decision is often just as bad as suggesting you make a wrong one. Dealers are dedicated to the veneer that the casino has created—that this is a happy place where winning is more than possible. 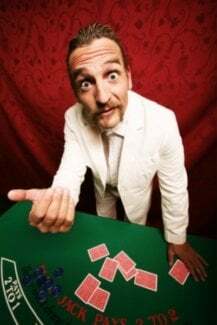 It’s a dealer’s job to welcome you, make small talk, and generally instill hope at the expense of the likely-today-certain-over-time outcome. When you are losing, they’ll chalk it up to bad luck. “It will turn around,” they suggest. “It’s got to turn around eventually.” How many times have you heard that one? Not only do casinos take money out of your pocket, they expect you to help pay their employees so they don’t have to, in the form of tips. “When you make money I make money,” they say, as if it is a project you are working on together. When you win big, they want a share of the riches. But when you lose, they often suggest it is because you haven’t been tipping. Either way, it just decreases the chance of a winning night. After all, when the dealer wins big, he or she doesn’t tip you. What if business people kept plying you with alcohol while you were in the midst of making financial decisions like buying a home or car? That is the essence of what the casino is doing when they offer you free drinks at the table. They know you will be inclined to make bad decisions. Walk 20 feet to the bar and the drinks are full price. They don’t want you paying full price for drinks at the bar. You are worth more money to them at the table. “Come sit down at the table,” the dealers say. They welcome you warmly. They receive your tips graciously. They will chat you up about anything and everything. The front might even disappear as soon as it becomes clear you aren’t tipping. But it certainly evaporates into nothing once you leave the table, never mind when you leave the casino. Dealers don’t wander the floor with players, and you won’t see them in the food court or the parking lot. Their job is to be your friend when and only when the money is on the table. Sure they are all wearing tuxedo shirts, but nobody is asking you to the prom. Surprise surprise, Dealers are just trying to make money. Casinos are just trying to take money. Is it so hard to believe they would work hard to get yours? Play smart. Know what to watch out for and protect your money for the situations and strategies that give you a real chance to win.